Hi There... 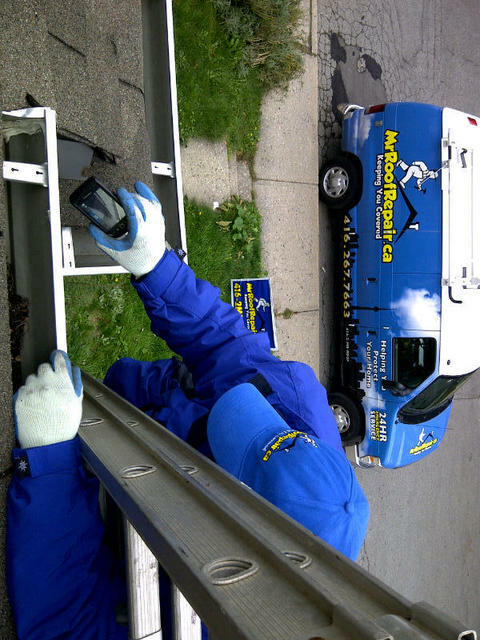 Responsive, professional and detailed are our middle names! Thanks for this. Take care. Hi alewchyshyn... Thank you for the high praise. Please let us know if we can be of service moving forward. Cheers! Quick response, great customer service, professional. Report given after assessment was very detailed, well worth the money. Roof repaired, and now we’re considering roof replacement. See how that goes and will review again. Glad they took care of the leak quickly!! Hi Fiona... Glad we could help in a pinch! We look forward to working with you again. Cheers! I noticed a brown spot on my ceiling, contacted Mr. Roof and they were able to accomodate me the following day. They came, they looked, they Fixed the problem....I'm certain of this because the next day it rained - which provided me immediate confirmation of a job well done! The task was completed within a quick time frame and they provided immediate feedback and suggestions for next steps. Much appreciated! Hi 2havey... IT was our pleasure! Thanks for the kind words. Take care! Hi Saurabh... Thanks for this! We'll be here when you need us again. Cheers! Mr Roof Repair and his team did a fantastic job! They were not really only quick at coming to give a quote but also in getting the job done. The day of the job they showed up on time and ready to get the job done. The team doing the work was great and very respectful of the neighbors as well. I had a few tell me that the guys were very kind to them as we had to semi block of a laneway for the trash. Hi David Bowie... Glad that we could provide this level of service for you. Thanks again for your business. Cheers! Had flashing damage from wind. They were very thorough with their assesment and had good follow up. I booked them for the job due to their reputation on Homestars and the experience so far. I would not hesitate to use again. Hi Zinger... Appreciate the kind words. Thanks! Contacted this group back in September and still waiting for a quote and answers from who I was told the owner Joe. Listen, I blame myself for this - should have never agreed to paying for a quote / inspection - even if they said the $300.00 would be taken off the final job quote. I was told they have competitive prices and “look at out reviews, we are fair”. Ok, I went for it. Inpection was done and a total overkill.....basically recommeneded I replace my entire roof!?! Their original quote for added insulation was 3X other quotes. Owner Joe stated must be a mistake, he would get me a better deal / quote. 4 months later, 10 + emails and many calls........ I am going with another company and I am OUT my $300.00 “credit”. I just wanted an insulation upgrad for winter?!?! We were indeed approached by this client who was interested in an insulation top up. As insulation is one of three components that make up the building envelope, it was explained to him that an insulation top up, when implemented into a substandard roofing system/attic, especially with poor ventilation, will cause more problems than it solves. The client then contracted us to complete a thorough inspection and written assessment report, supported by pictures, on his attic and full roofing system. Mr. Roof Repair does NOT have a fee for quotations. As we do not send sales people, but trained, accredited roofing specialists to conduct these inspections and other staff to compile the written, picture documented reports, we do charge for that service. The investigation revealed several deficiencies, including substandard ventilation, a poorly installed, low specification roofing system and further attic/ventilation issues. We provided the service, produced the document and made repair suggestions to exactly what we were contracted to do by this client. He just didn’t like our quote for the work suggested. He wanted the expertise of an accredited, educated company but feels that because our quote to do the repairs isn’t in line with the companies that he didn’t trust to assess the situation in the first place, that he shouldn’t have to pay for what he contracted us to provide to him. Unfortunate.